The Southern African Wildlife College (SAWC) was established in 1996 by the World Wide Fund for Nature, South Africa (WWF-SA) in cooperation with stakeholders such as the Southern African Development Community (SADC). SAWC’s graduates are managers and conservationists working in diverse fields such as nature-based tourism, trans-frontier conservation area management and capacity building at the community level. SAWC is situated in a natural lowveld environment, 10 km west of the Orpen Gate of the Kruger National Park. 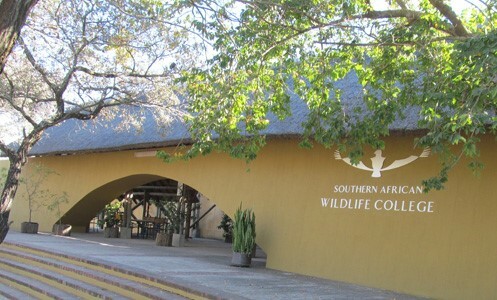 The College itself is 2 km north on a good gravel road and has access to a number of Big Five conservation training areas. The campus blends well with the natural environment and the buildings have innovative energy and water saving features. The college offers full time programs which run for a full year and cover a broad range of conservation management skills in a range of topics such as wildlife management, nature-based tourism, community-based natural resource management and environmental studies. Committed individual organizations and trusts/foundations make it possible for the college to continue its crucial task. The support received from donors has an immense impact on operational capabilities. The grants provided have made it possible not only to train our students across various programs but also to build and upgrade facilities, purchase IT equipment and provide essential vehicles that enabled students to undertake and complete the required training. Southern Africa is one of the premier hunting destinations of the world and has a large and well-established hunting industry. The SAWC started a course to train students first and foremost as conservationists, professional guides and only then, in the skill of hunting. Conservation in Africa relies on the hunting industry and the SAWC believes that training potential hunters using a holistic and ethical approach to professional hunting is a win-win for both vocations. The first course commenced in 2012, an 18 months, three semester program. Students then move to a 6 month apprenticeship with an established and approved hunting outfitter. The intake is limited given the intense 1-on-1 training nature of the program.